Sit on stone and glass basins can be a creative way to add elegance and opulence to your bathroom project, turning a plain day to day object into one of ornate beauty and elegance. It can be the final touch or the inspiration to base a room around . 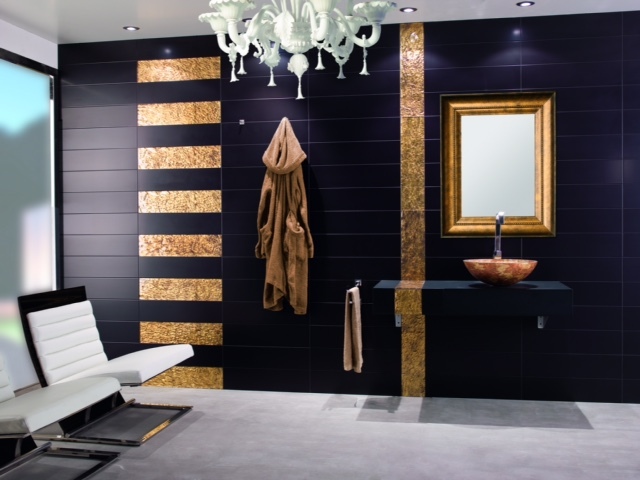 A dark, contrasting, basin in a light airy room can provide depth and drama. Placed in a brightly decorated room with darker accents, a dark luxury basin can tie in the darker features of a room, giving a modern yet soft feel to the room. 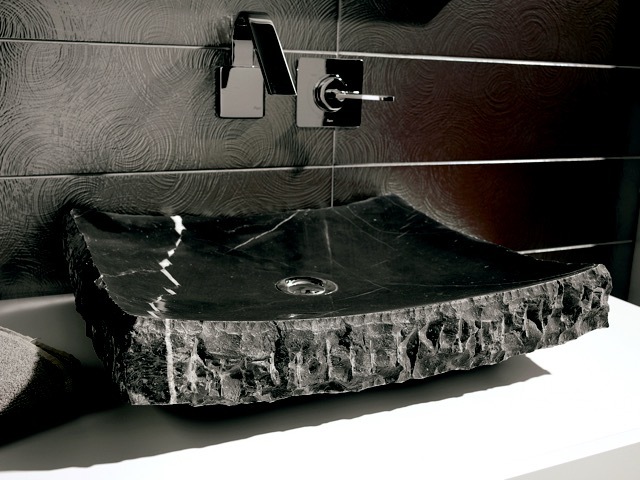 Alternatively a dark textured basin can give a point of focus in a room and act as a statement piece on its own. For a real splash of luxury, a stylish copper or gold basin draws the eye and projects an aura of quality reflected in the solid build of the basin. This timeless piece is bold in its simplicity and can tie together copper or gold accented decor walls in a room. 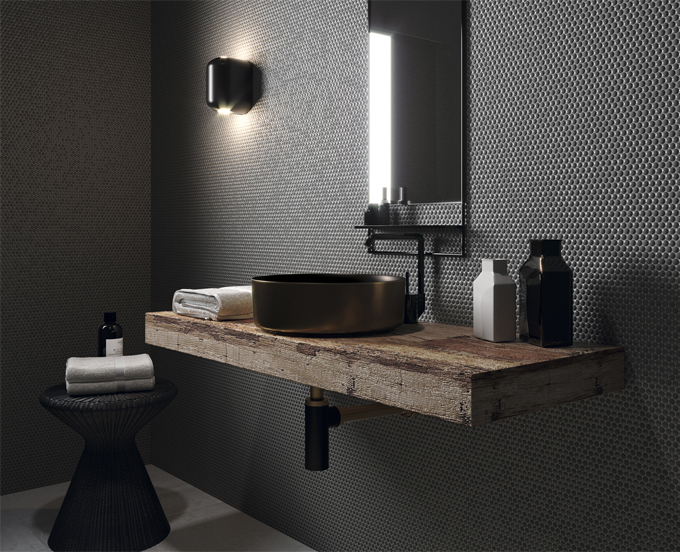 In our specialist bathroom and tile studio, we have the latest selection of hi end decors and accent wall tiles to compliment our latest colours of sit on basins . Our in house design team will intelligently colour coordinate the latest tile finishes and textures, bringing alive your bathroom project . Please call our design team for an initial consultation on 01628 777122 or visit our latest project web page. 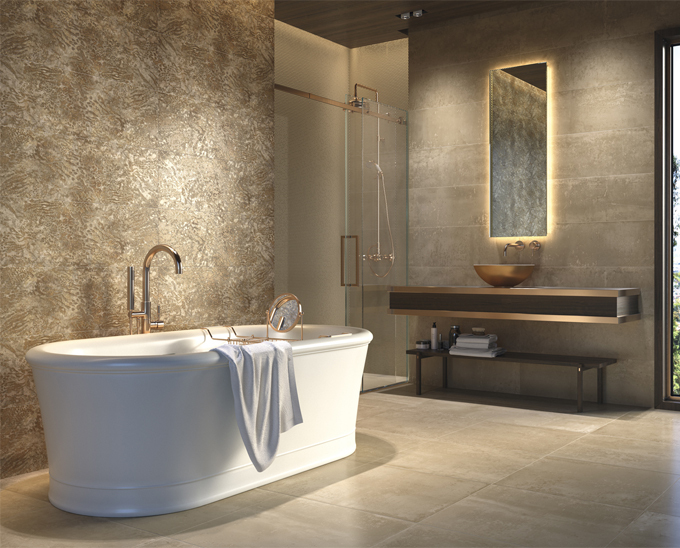 Luxury stone and glass vanity basins can really make a beautiful statement and focal point to a bathroom, which should always be a place of tranquility and relaxation. Having a feature basin can turn ordinary tasks, such as washing your hands, into a daily pleasure that takes on a more luxurious feel. 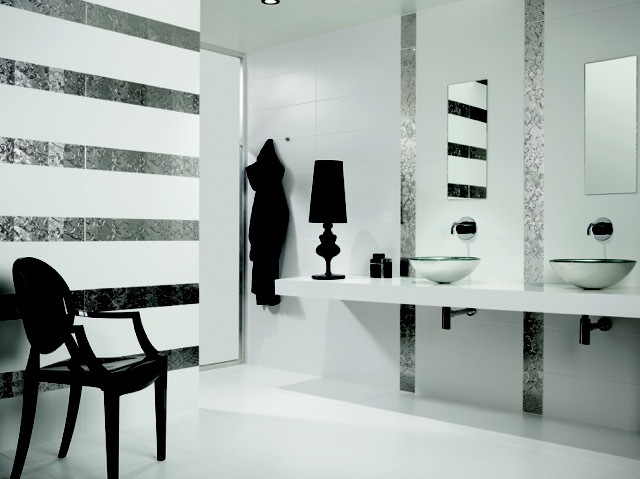 Marble basins give a truly exquisite style to any bathroom. A timeless material, marble has unique veins of colour running through it that can be tied into the rest of the decoration to bring a room together. Glass basins are another classic piece of styling that can transform your room, giving it a clean and light feel, while remaining decadently and luxuriously designed. 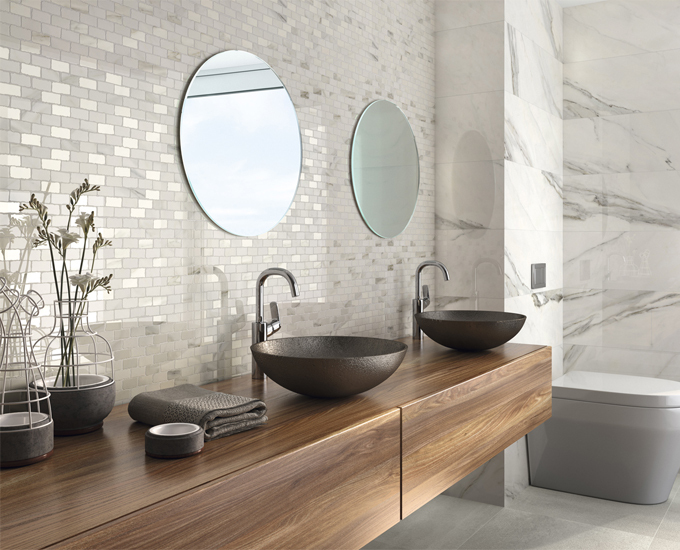 Stone basins truly look grand and offer a unique, tactile hand washing experience. It brings raw material into your bathroom, and with it the feel of nature and rejuvenation for a truly calming, soul-cleansing space. 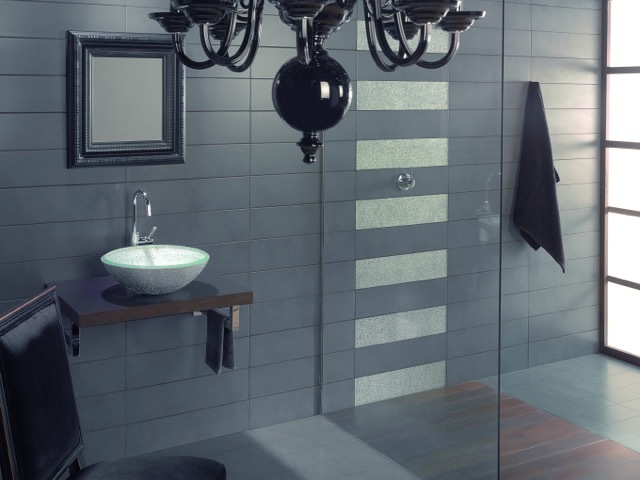 We can use these materials to create the right feel for your bathroom, offering you the chance to create a sanctuary where you feel at ease and comfortable. We can tailor the design to meet your individual needs and to make sure the space offers you exactly what you need, whether that is a space for peace, relaxation and stillness or instead a room for rejuvenation, invigoration and inspiration for a positive start to your day. Concept’s In House Design Team unique and sophisticated approach to our clients projects, will make a very positive difference to the visualization of your bathroom project .